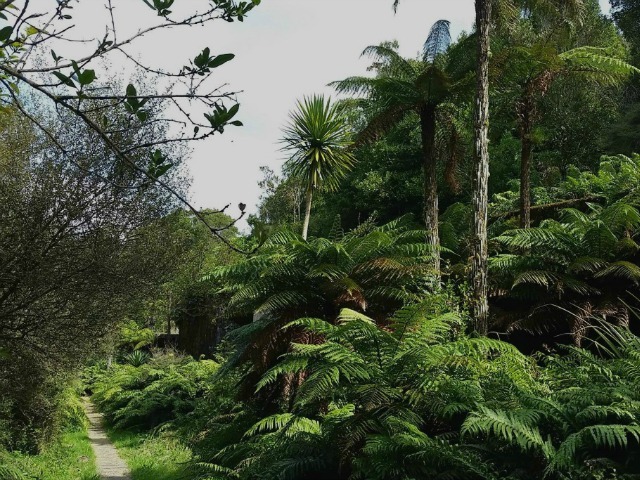 The York Road Loop track is the perfect combination of being immersed in the great outdoors, while learning about interesting Taranaki history. 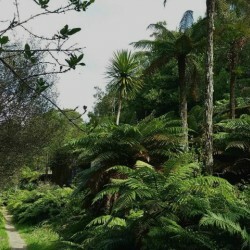 The York Road Loop track is within the Egmont National Park, just a short 10 minute drive from Stratford, at the end of York Road (which turns off SH3 between Stratford and Tariki) . The track follows part of the old Egmont Branch Railway Line and old service road which was constructed in 1901 to provide metal for early Taranaki roads, walkways and the rocks for Port Taranaki. A workforce of 200 men helped to build the track, and trains would cart rocks from quarries to the crusher in large wagons. The quarry operated until the late 1920s until it was abandoned. The unique 5.4km York Road Loop track takes approx 2-3 hours to complete. You’ll walk through alluring native bush while passing remnants of workers accommodation and the wooden railway lines which add a historical flavour. The track is easy to navigate and fun for older children, as they discover remnants and information boards to read about the sites of interest as they go. The notable swing bridge to 'The End of the Line' is the halfway point, and an ideal spot for a rest or a picnic. At the beginning of your walk turn left 100 metres up the track from the park boundary. Before reaching the Crusher site, a two-minute detour will take you to the site of the bunk houses and cottages, where workers were housed. The homes were removed in 1930, however the foundations remain. After your detour return to the Crusher Site, where the crushing machine was housed. The remains are still impressive with tunnels, chambers and water ducts as well as a large retaining wall. You’ll discover some of the rusting pipeline from the waterline which was used to carry water to the crushers and sandtrap. Still intact, the sandtrap filtered any sand from the water used to drive the crusher turbines. Some of the flumes and culverts which diverted water away from the Foot Station into a man-made river are still visible. The York Road Loop track is like no other walk you’ve experienced before. The gorgeous greenery which surrounds you while taking a glimpse into history, makes for an unforgettable experience. Ideal for the adventurous individual or a thrill for the whole family. A reasonably level of fitness is recommended. This is a fantastic experience for older children, however bear in mind that it takes approximately 2-3 hours to complete. A good pair of walking shoes. Snacks/food for lunch if you plan to stop for a picnic. Pack a jacket just incase the weather changes on you. Any required medication if you have it. Always let a family member or friend know when you are going on a walk. Not at all! The walk itself is enjoyable on it’s own, however we are sure you won’t be able to help but enjoy the learning the walk offers as well.